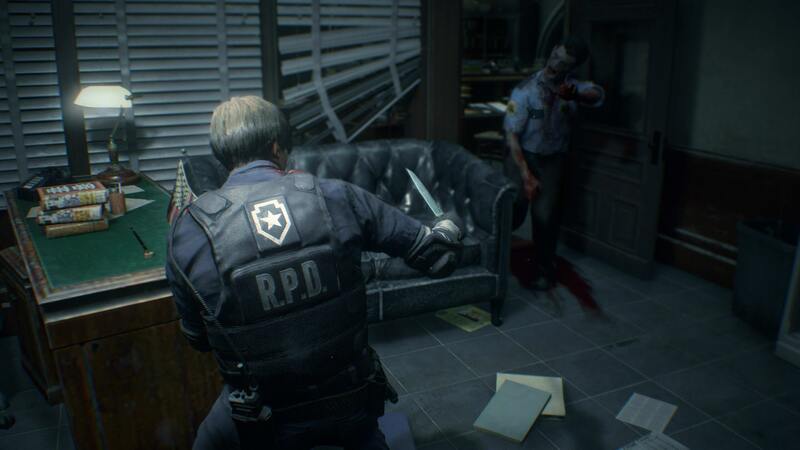 Capcom’s “One-Shot” demo for the Resident Evil 2 remake arrived last Friday. The publisher attempted to sell its idea of a 30-minute timer as an exciting way to experience the game. “Survive the exhilarating Resident Evil 2 '1-Shot' Demo,” the official announcement read last week. "You can play as much as you like for thirty minutes of in-game time, but once the clock runs out, so does the demo." The execution ultimately didn’t come off as "exhilarating" though. Frustrating would be a more accurate word. Where other timed demos give players at least an hour to enjoy the beginning of the game, Capcom’s idea was more gimmicky (and stingy) in its function. More than a few people were frustrated with the 30-minute timer and rightly so. Thirty minutes is not a lot of time for a game which has exploration as one of its key elements. A lot of players felt rushed and resented that they didn’t have time to really enjoy what they were playing. Fortunately for PC players, someone has figured out a way to reset the demo’s timer. CursedToast posted a tutorial (above) on his YouTube channel showing how to do it. As long as you don’t mind digging into and fiddling with your Steam account files, you should be able to reset the timer as many times as you want. You will need to download and install the Steam Account Manager for this to work because you have to deactivate any achievements you may have gotten in your run through the demo. CursedToast says that if you are worried about messing with your Steam files, you can just as easily use a throwaway account. Unfortunately, this workaround will do no good for console players. Only the Master Race can take advantage of this slick trick. Is fiddling with the demo like this ethical? Some might debate that it is not, but only giving players 30 minutes to play was a dumb idea to begin with and just begged for someone to circumvent it. Besides, it is up to the devs to make sure their demo is airtight before releasing it. They should have known someone would try to disable the timer. indiferenc, Reehahs, m4a4 and 2 others like this. "Is fiddling with the demo like this ethical?" What's ethics got to do with playing a demo more than once? Nobody is affected negatively by someone doing this. "Nobody is affected negatively by someone doing this." in the first place? To entice you to buy their game! and may possibly not end up buying the full product. It would hurt their sales. Hahaha, you pretty much just answered why it's not a ridiculous assumption in that last line of yours. If someone is willing to play it over and over again, then they're either already planning on buying it, or they aren't. Simple as that. Ps. of course the demo doesn't have any more content than what's scripted. I wonder if you can tweak the clock using Cheat Engine. I plan on buying it anyways but it's fun to mess with stuff. And people ask why we get delayed Launch, Denuvo and very few Demos. Why the Frog they have to put it in YT, just put it on Reddit and let the word of mouth do the job. Capcom will take notice and maybe pull a RockStar with one year delayed launch for PC "Master Race". Oh man thanks. Your comment just made my day. Shot, in this case, means something like “try” or “attempt”. So you only have one chance to play the demo. But your idea of bringing only one bullet/round is brilliant too, makes me wonder how I will use that one round.